Jay OM aka Journey, Omsphere, Sonic Wave Control, The Wayfarers, Keewl and Scratch & Blast are all or in part Milan-born, London-based DJ and producer Giampiero ‘Jay’ Mastino. Label manager of Free-Spirit Records, Jay forged his earliest psychedelic-rock influences playing guitar in local bars in Milan in his younger days. His romance with the decks beginning in the late ’80s working for a local radio station, where he was given the opportunity to spin his first records. With that love firmly in place the move to London followed in 1998. 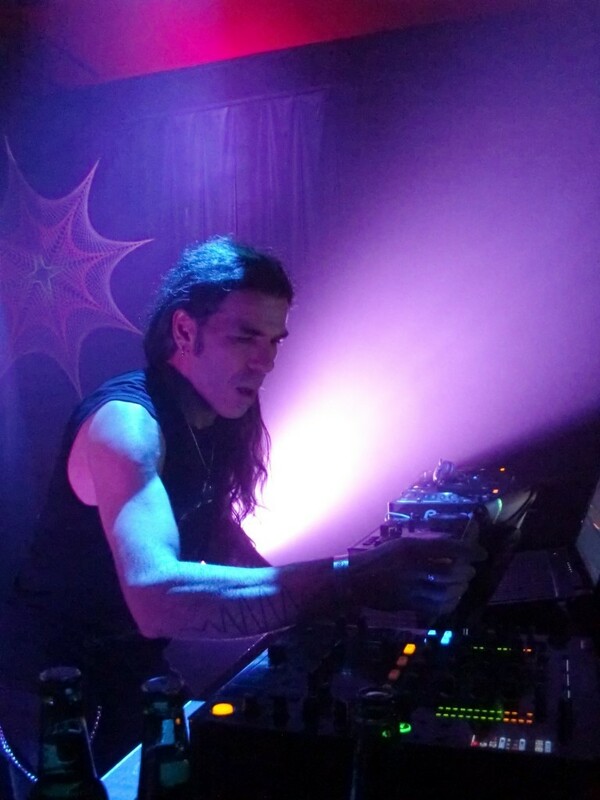 Soon thereafter he started DJing professionally as Jay OM and in 2003 he studied Sound Engineering and Music Technology before beginning a solo production project under the name Journey. 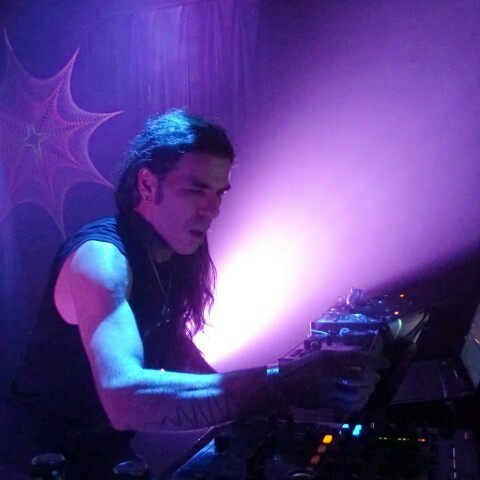 In 2004, Jay conceived the vision of a network of like-minded artists in the psy trance, progressive and ambient genres all working together to promote themselves, and each other, under the one banner. Thus, the Free-Spirit label was born. Originally intending to focus on artist management, the label’s skyrocketing success combined with the enthusiasm of Jay, the artists and their fans enabled Free-Spirit to outgrow its horizons, becoming one of the strongest and healthiest multi-genre electronic record labels around. All the while Jay was expanding his production spheres. In 2009 he started a psychedelic progressive side-project called Omsphere; a tribal progressive trance act called Sonic Wave Control followed in 2011; and then in 2015, a collaboration with Imry called The Wayfarers. In January 2017 he started another two collaborative projects: Keewl with Cylon; and Scratch & Blast with Tron, with tunes from both projects soon to follow. Keewl’s Activated Souls EP was released on 4th of September 2017 and reached No. 24 on Beatport, Scratch & Blast’s EP is on its way. Jay has played all over the world in more than 40 countries across five continents and released five solo albums: three as Journey – The Man Who Sold The Time in 2007, Through The Mirror in 2011 & Limitless in November 2017; Sixth Sense under his Sonic Wave Control moniker; and K‘ag Bak‘tun as Omsphere in 2013. Since releasing his epic third Journey album Limitless in November 2017, Jay’s productions have become more prolific and even more powerful. Collaborations with the likes of Tron and M-Theory skyrocketed to the top of the Beatport charts and continue to linger on for months afterwards as more dancefloors over the globe are taken on a free-spirited psychedelic journey. Meanwhile, as Omsphere he’s released the signature track to the award-winning short film Just A Plastic Bottle, reaching a whole new audience in the process. Additionally, under his plethora of recording guises Jay has produced multiple EPs and tracks for various record labels and been responsible for compiling the compilations Free-Spirit Volumes 1, 2, 3, 5, 6 and 7 and Reawakening Volumes 2 and 3. In March 2017 he released the Ten Years as Free-Spirit compilation, which reached No. 5 on the Top 100 releases on Beatport. Jay also runs Killah Mastering, arranging, mixing and mastering for multiple artists across various genres, as well as mastering almost all the 64 Free-Spirit Records releases from 2005 until the present day.